For 60-year-old Jiwan Chandra, a retired police as well as army person from Pithoragarh, Uttarakhand, the past six months have been extremely difficult as he has lost movement owing to spinal fracture. After he came to Delhi in September for medical treatment, he discovered that the backache was due to lung cancer. He had metastasis, a medical condition where cancer in his lung was carried through blood to his lumbar spine thereby turning him practically immobile. “I had served in the army for 26 years as a subedar and 18 years in the police as senior constable. I had also been a physical training instructor. When the disorder crippled me, I lost all hopes that I will be able to walk normally again,” he said at a press conference in Noida on Tuesday. Chandra underwent ‘vertebroplasty’ by a neurosurgical team of the Fortis Hospital in Noida in October last year thereby giving him a new lease of life. The team of doctors used both screws and biological cement to fix the fracture. After the surgery, he was convalescing for a period of three months. Experts believe that the surgery was crucial as it presented multiple challenges of advanced age, fractured spine and advanced case of lung cancer. “We treated the patient with vertebroplasty which is a medical procedure where the patient’s bones are strengthened through biological cement injections to erase the pain. 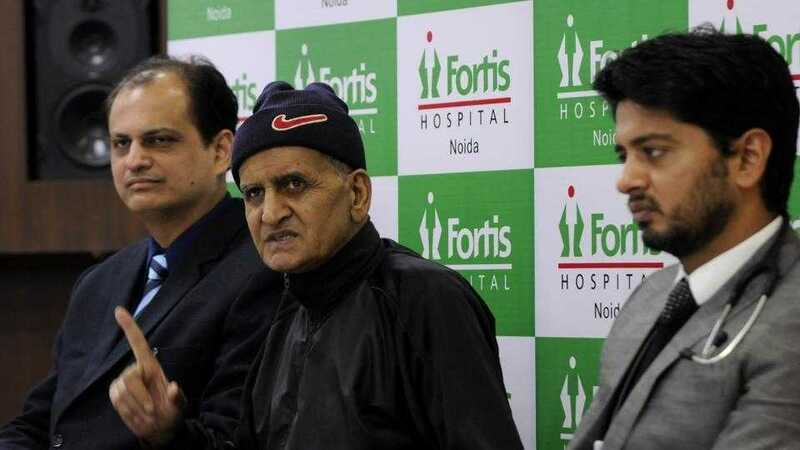 The compressed nerves in the back region which contributed significantly to the backache were released by screws fixed in the lumbar spine region,” said Dr Devavrat Arya, senior consultant, medical oncology, Fortis Hospital, Noida. The procedure was unique as screws are generally used in case of fractures in youngsters. “When it comes to senior citizens, their bones are fragile, therefore, we decided to use both screws and biological cement as cement acts as an instant pain reliever. Many senior citizens suffer from osteoporosis and this procedure is much recommended. Even the cost of a biological cement pack costs around Rs 10,000-12,000 making it affordable,” said Dr Rahul Gupta, additional director, neurosurgery, Fortis Hospital.